You start to recognize fonts on every website you go on. "Oh, that's Raleway," is something I've thought to myself many, many times. You also start to recognize free stock photos. "I've seen that one on Pixabay," is also something I've said to myself. I also recognize Canva templates. Now that social media is part of your "job," you're starting to get a bit sick of it. If it wasn't for my Facebook page, my account would have been deleted long ago. You have a creative process you always turn to. Whether it's actually effective, or more like Sara Bareille's is up to you. You know more HTML than you ever really cared to. Although, now you do care to because it benefits your blog. 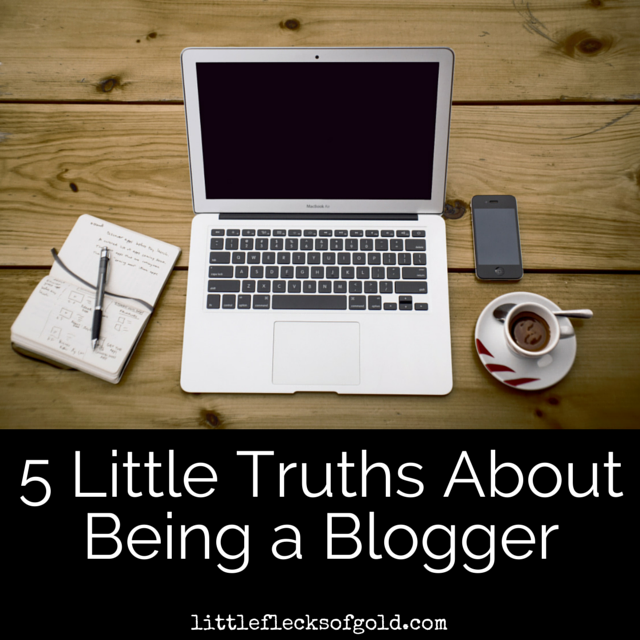 What "truths" have you discovered about being a blogger? I've started to literally think about everything that I do or that happens to me in my life as a potential blog post!